To purchase books about Benzie County, use our online store and pay with credit card or your PayPal account on PayPal's secure server. A brief, pictorial history of the iconic Frankfort summer hotel which opened January 1, 1902 and burned January 12, 1912. The "Tragedy"/"Comedy" is a well-known story of the lowering of Crystal Lake in Benzie County Michigan. Archibald Jones founded the Benzie County River Improvement Company in 1873 intending to improve water-lots on Crystal Lake, remove obstructions and construct slack-water canals between Crystal Lake and Lake Michigan, and build a steamboat to facilitate shipping of settlers and goods to and from the interior of Benzie County to the nearby port of Frankfort. The dramatic lowering of a very large inland lake by 20 feet and the creation of a 21-mile perimeter of sandy beach insured the future of Crystal Lake as a prime recreational area. 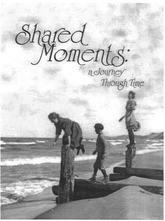 A large "coffee table" book with photographs of Benzie area history, including lumbering, railroads, carferries, tourism, agriculture, and friendly people, from its inception through the 1950s. The photos are enhanced with wonderful quotes gathered from the works of local authors and respected writers and historians. In this memoir, Civil War scholar, Pulitzer Prize winner, and Presidential Medal of Freedom recipient, Bruce Catton, with affection and humor, tells about growing up in Benzonia, Michigan, in the early 1900s. This is a must read for anyone wanting to learn about life in small-town Michigan at the turn of the twentieth century. The authors began to interview the men and women involved with the logging industry in 1965, and recorded the stories of direct participants from the 1890s to 1916, though some accounts go back to the 1880s. The transcriptions retain the dialect and vocabulary of the old lumberjacks and workers. 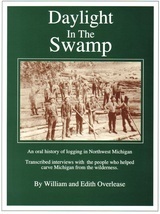 This work is an unparalleled primary source for anyone interested in the lumbering history of Northwest Michigan. A quick reference of trails in Benzie County used primarily for hiking, but they can also be used for mountain biking, and most can be used for cross-country skiing and snowshoeing. Estimated trail lengths, hiking times, road distances and difficulty are provided, along with a map which shows their locations in Benzie County. On December 7, 1854, the Propeller Westmoreland foundered in deep water near Sleeping Bear Dune, killing seventeen of her crew and passengers. Seventeen crew and passengers lived, however, and landed in lifeboats on the shore of Platte Bay. Soon after the passenger steamer's sinking, rumors began circulating of $10,000 in gold coins in her safe and 280 barrels of whiskey in her hold. For the next 150 years the Westmoreland was one of the most sought after shipwrecks in all the Great Lakes, eluding salvagers, wreckhunters and divers alike. The Westmoreland was discovered July 7, 2010 by diver/historian Ross Richardson of Lake Ann, Michigan. About 9 miles long and 2 miles wide, Crystal Lake has been a recreational center in northwest Michigan for over 100 years. However, resorts and vacations were not the intention of Benzonia's first settlers, who arrived to found a religious colony and college. When Crystal Lake was accidentally lowered in 1873, cottages, camps, and resorts sprang up along with the beaches. Using archival photographs from the Benzie Area Historical Museum, Crystal Lake tells the distinctive story of the lake's past, its towns, resorts, people, and businesses.